I try not to get too excited about short-term market movements. At the same time, I have to keep up since I'm the faculty advisor for Unknown University's St udent-managed fund. 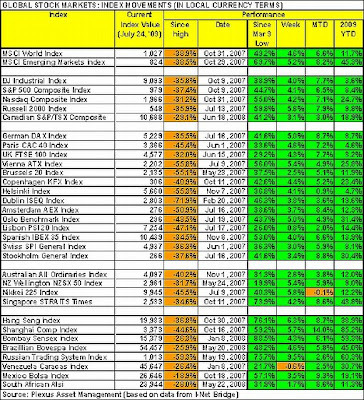 Even so, it's been a pretty good week (and month and year) so far - almost every equity index I can think of is in the green for the last month (and even year to date). As an aside, our fund is up 11.4% YTD (but I'm sure that'll change).